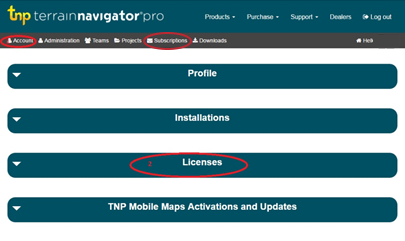 Those who have added a Parcel Data Subscription (tier) to their state's base subscription can access parcel (land ownership) information on their smartphone using the TNP Mobile App along with their desktop software and via the web planner project viewer available at terrainnavigator.com. 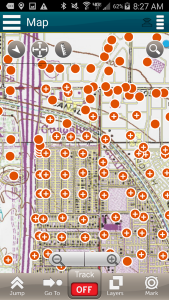 Plot the borders of private lands over detailed topo maps. 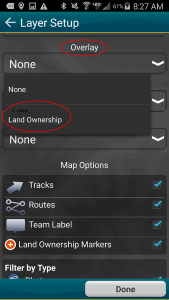 Landowner's name; find out who owns the land. Land address; get the physical address of the land. 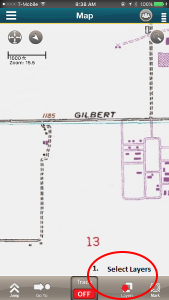 Parcel number (APN); see the county parcel number assigned by the county assessor. How Do I Determine If I Should Have Parcel Data Displayed? Select Account, Licenses, and then select the pencil icon in front of Parcels. Here, you will see the SKU and the expiration date of the Parcels. This could be a PARCELDATA Tier added to a TNP "BaseSubscription". If you do not have a PARCELDATA Tier, select Subscriptions (at the top of the window) to purchase this feature. Subscriptions start at $120 per year and must run concurrently with the base subscription for that state. How Do I Install the Parcels on my Mobile Device? Start the TNP Mobile App. In the TNP Mobile App, open MapPacks and press the "Purchased" button on the upper left side of the screen. The app will then check the licenses for all parcel data that you are entitled to. 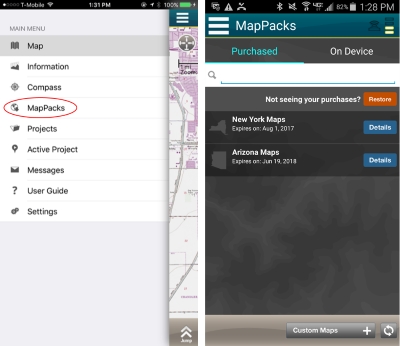 The list of MapPacks will populate and you can download any parcel data that is currently licensed. 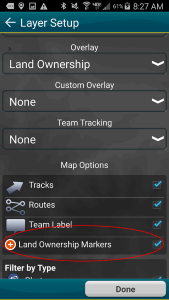 How Do I View the Land Ownership (Parcel Data)?